Trans-Pacific View author Mercy Kuo, who engages experts across the globe for their diverse insights into U.S. Asia policy, discusses Japan’s Indo-Pacific strategy and the Quadrilateral Security Dialogue with Stephen R. Nagy, a senior associate professor in the Department of Politics and International Studies at International Christian University, Tokyo. Kuo: Explain Japan-U.S. collaboration in developing the Indo-Pacific strategy. Nagy: Proximity to the region’s long-term geopolitical challenge, i.e., China’s re-emergence as the largest power in the region, has compelled Japan to take the lead in articulating the necessity for an Indo-Pacific strategy. China’s economic weight, assertive behavior and hybrid tactics to achieve its national objectives such as eroding sovereignty claims through “lawfare” has compelled Japan to put forth foundational strategic frameworks such as the “Security Diamond” that has laid the foundation for today’s Quad and the emerging Indo-Pacific strategy. How might U.S.-China trade tensions impact the Indo-Pacific strategy? The ensuing trade war between the United States and China has marshaled forces in each country. Beijing understands the trade war as a coordinated effort to stunt China’s development and prevent China from “standing up” and achieving its China Dream, the great rejuvenation of the Chinese people and nation. The Indo-Pacific strategy is understood as a Cold War 2.0 containment strategy to cement U.S. regional hegemony. This highly securitized view of the Indo-Pacific strategy will enhance China’s commitment to resisting U.S. trade tactics through targeted tariffs hurting Trump supporters. China will also become less cooperative of signature Trump diplomacy such as the denuclearization of North Korea. In contrast, in the U.S. the trade war has bipartisan support, with both Republicans and Democrats recognizing the necessity to recalibrate their economic relationship and push back against Chinese assertiveness in the region. The Indo-Pacific strategy provides a platform to link a new geographic geopolitical framework that works in tandem to achieve economic objectives including fair, free and reciprocal trade and pushing back against geopolitical gains by China in the Indo-Pacific region. How does Japan’s inclusion and U.S. exclusion in the Comprehensive and Progressive Trans-Pacific Partnership (CPTPP) affect Tokyo’s leadership in the region? U.S. withdrawal from the TPP inculcated deep misgivings about the U.S.’ long-term commitment to the region. 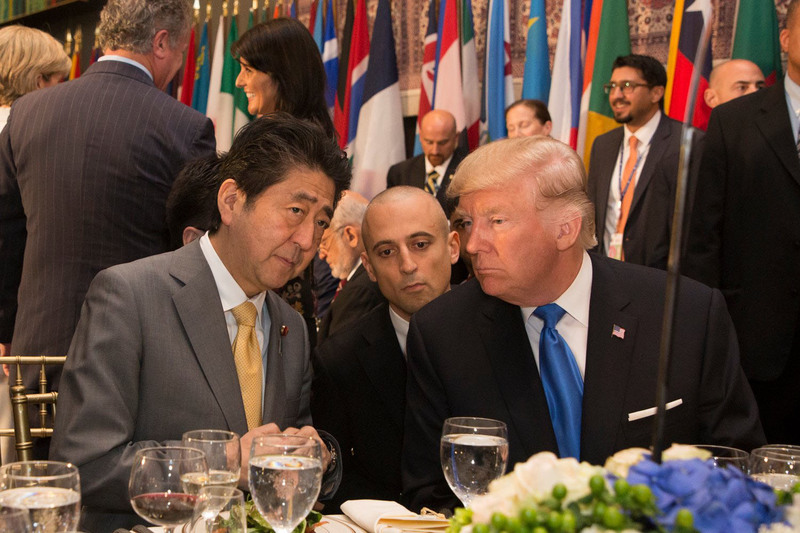 Tokyo turned disappointment into a leadership opportunity through the successful pursuit of the CPTPP, an open trade agreement that would eventually allow for the inclusion of the U.S. among others. The Japan-U.S. alliance makes Tokyo Washington’s closest partner in the region. Their long-standing comprehensive and strategic partnership thrusts Tokyo into the role of indispensable partner and communicator as to the importance of the CPTPP and U.S. involvement to achieve a workable Indo-Pacific strategy. Assess Japan’s efforts to engage India and Australia in implementing the Indo-Pacific strategy. China’s bilateral relationships with India and Australia play a determining role as to how Japan enlists both states in implementing the Indo-Pacific strategy. India fears open support for the Indo-Pacific, in particular military commitments to an open and free rules-based maritime region as it could result in an escalation in Sino-Indo geopolitical tension with China, potentially complicating Indo-Pakistan relations, among others. Australia’s economic relationship with China, in contrast, places it in a difficult position as there is a mismatch in its economic interests and security/political interests. Australia’s prosperity is directly related to economic ties with China. Notwithstanding, there is deepening concern about Chinese political interference in Australia and China’s rejection of cherished middle power international institutions and rules. Better than most, Tokyo has clarity about the discord between economic and security interests when advocating the Indo-Pacific strategy. In the case of India, Japan has focused on forging economic ties through official development assistance and foreign direct investment, the creation of a strategic partnership and stressing ad-hoc, selective participation in the Indo-Pacific strategy and the Quad. This is purposeful; India has comparative advantages such as population, geographic location and identity that allows it to be a norm-maker without eschewing its pacifist traditions. In contrast, Canberra-Tokyo relations overlap in the security, political and economic spheres. Securing Canberra’s participation in the open CPTPP decreases Australia’s economic dependency on China. Australia’s participation in the Quad alongside the U.S. allows for growing security synergy between the trifecta based on a long track record of joint operations, training and interoperability. Tokyo should actively support this synergy and broaden its relationships by bringing other partners who have the similar levels of military sophistication and concerns about ensuring a free and open, rule-based Indo-Pacific. Immediate candidates could include the United Kingdom, Canada, France and potentially Singapore, all of which have interest in the region because of trade and energy routes. Simply, the world’s Asia-Pacific economy is shifting to be geographically Indo-Pacific centered. As a result, the interests and concerns of stakeholders have broadened, requiring a broader partnership among like-minded states. Compare and contrast the policy differences and similarities between the Trump administration’s Indo-Pacific strategy and the Obama administration’s rebalance to Asia. The U.S. shift to the Indo-Pacific can be traced back to the Bush administration’s shift of transferring nuclear technology to India to bring India into the U.S.’ politico-security orbit. The Obama administration deepened the shift through the “pivot to Asia,” the intention to join the TPP and clear support for a rules-based order as evidenced by President Barack Obama’s clarity on the U.S. position vis-a-vis the Senkaku Islands. These initiatives were welcome clarity for most states in the region. Nonetheless, the failure to ratify the TPP and lack of commitment of diplomatic resources in the region left many policymakers questioning the U.S.’ enduring commitment to the region, especially as China continued to erode away sovereignty claims in the East China Sea and South China Sea through lawfare. Under U.S. President Donald Trump, the tempo and optics of the Indo-Pacific strategy have been disorienting. 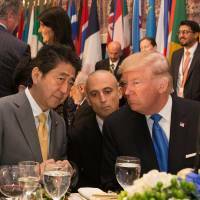 Trump’s withdrawal from the TPP and trade policies with long-standing friends have left allies questioning the long-term strategic vision of the administration for the region. In contrast, Trump’s 12-day visit to the region, the resurrection of the Quad, the explicit deployment of the Indo-Pacific strategy in policy and rhetoric, regularized freedom of navigation operations in the South China Sea, and the trade war with China has offered tangible examples of the U.S. commitment to the Indo-Pacific strategy. The tangibility of the initiatives is salient as tweet diplomacy has often contradicted if not delegitimized the administration’s more sensible initiatives.